Amazon Web Services offers a broad set of global computer, storage, database, analytics, application, and deployment services that help organizations move faster, lower IT costs, and scale applications. Amazon Chime is a modern, fully-managed communications service from AWS that makes it easy for you to communicate with people inside and outside your organization using voice, video, and chat. With Amazon Chime, online meetings are easier and more efficient, crystal clear audio and high definition video keep you focused on the discussion, and the service is designed to work seamlessly across desktops and mobile devices. Deep Scalable Sparse Tensor Network Engine, (DSSTNE), pronounced “Destiny,” is an Amazon-developed library for building Deep Learning (DL) machine learning (ML) models for recommendations. With DSSTNE, you can build recommendations systems that can model ten million unique products instead of hundreds of thousands, or NLU tasks with very large vocabularies. DSSTNE significantly outperforms current open source DL libraries on certain tasks where training data is sparse (where almost all the values are zero), common in recommendation problems. Amazon Personalize is a machine learning service that makes it easy for developers to create individualized recommendations for customers using their applications. With Amazon Personalize, you provide an activity stream from your application – page views, signups, purchases, and so forth – as well as an inventory of the items you want to recommend, such as articles, products, videos, or music. You can also choose to provide Amazon Personalize with additional demographic information from your users such as age, or geographic location. Amazon Personalize will process and examine the data, identify what is meaningful, select the right algorithms, and train and optimize a personalization model that is customized for your data. Amazon Redshift is a fast, fully managed data warehouse that makes it simple and cost-effective to analyze all your data using standard SQL and your existing Business Intelligence (BI) tools. It allows you to run complex analytic queries against petabytes of structured data, using sophisticated query optimization, columnar storage on high-performance local disks, and massively parallel query execution. Most results come back in seconds. With Amazon Redshift, you can start small for just $0.25 per hour with no commitments and scale out to petabytes of data for $1,000 per terabyte per year, less than a tenth the cost of traditional solutions. Amazon Rekognition is a service that makes it easy to add image analysis to your applications. You can detect objects, scenes, and faces in images, and you can search and compare faces. Amazon Rekognition uses deep neural network models to detect and label thousands of objects and scenes in your images, and we are continually adding new labels and facial recognition features to the service. With Amazon Rekognition, you only pay for the images you analyze and the face metadata you store. There are no minimum fees and there are no upfront commitments. Amazon Simple Storage Service (Amazon S3) is the largest and most performant, secure, and feature-rich object storage service. With Amazon S3, organizations of all sizes and industries can store any amount of data for any use case, including applications, IoT, data lakes, analytics, backup and restore, archive, and disaster recovery. 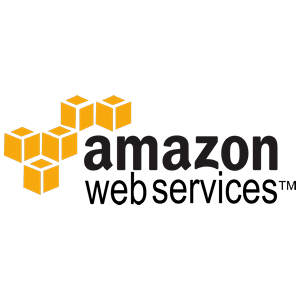 Amazon S3 is designed for 99.999999999% durability to protect data from site-level failures, errors, and threats, so that it is available to your end users and applications at all times. CloudEndure offers a comprehensive suite of multi-tier IT resilience solutions for disaster recovery, backup, and migration. By providing equally efficient replication, restore, and recovery for any application across all infrastructure, CloudEndure ensures your hybrid IT landscape will remain protected as it continues to grow.